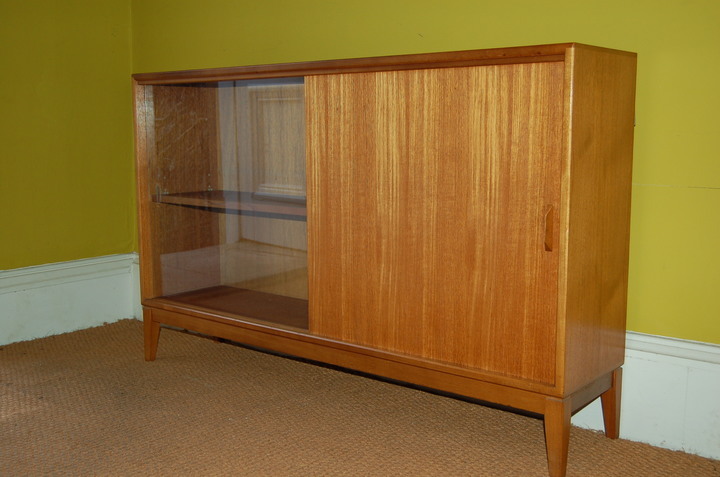 A very elegant teak bookcase / cabinet. 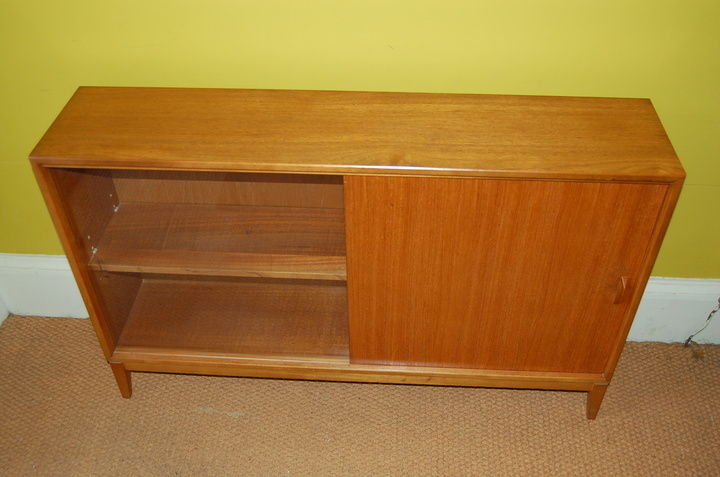 This would make a stylish addition to any room - hall, lounge, dining or bedroom - it's so versatile. 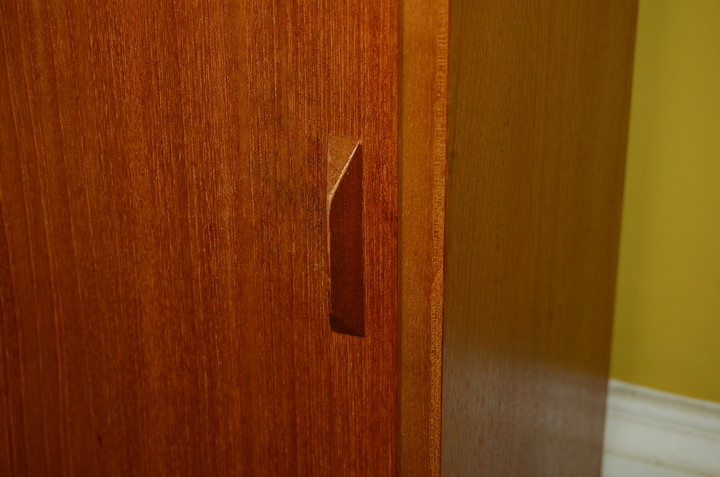 It comes with one glass and one solid sliding door together with an adjustable shelf in each side. 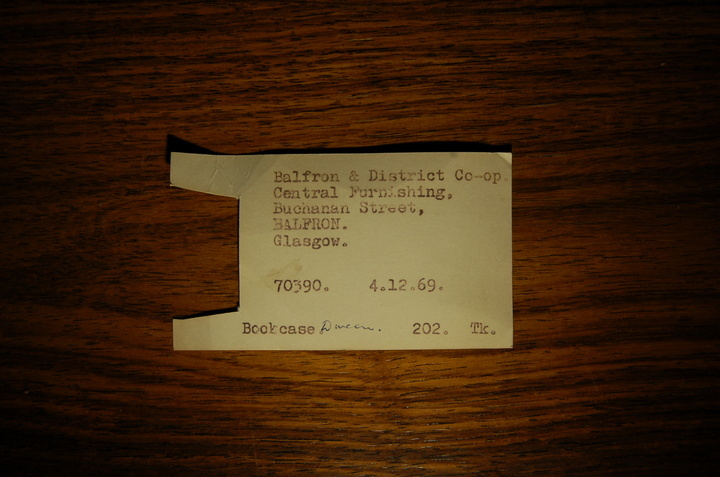 It was originally sold by the Co-operative Furnishing Department in Balfron in 1969. 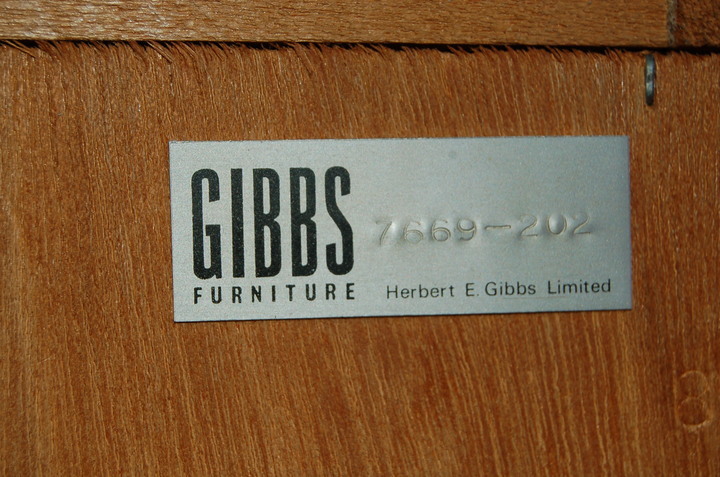 See attached label image.